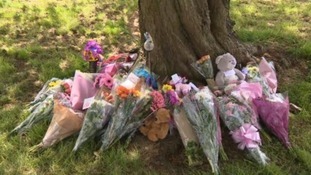 A misconduct hearing has ruled an officer for Nottinghamshire Police should be sacked over a series of allegations including sending racist texts and giving a friend information about Amber Peat's death before it had been made public. 13-year-old Amber's body was found in her home town of Mansfield two days after she was reported missing on 2 June. Today, the panel heard that PC Samantha Goodwin told an acquaintance about the body being found in undergrowth near to where Amber went missing, but urged them to "keep it quiet". PC Goodwin admitted sending text messages using racist terms, taking stills from a police interview and sending them to her partner and using offensive language to refer to vulnerable victims of crime. The officer was involved in the inquiry in which there was substantial press interest and it was a matter of high priority for the police. It was a case of the search for missing teenager who tragically was found to have been deceased. The information disclosed was confidential and was disclosed to a third party acquaintance and her partner about the discovery of the body and the manner in which the young girl died. The details had not been published at that time but came to be published in due course. The officer knew she was not to disclose that information. She said 'that's not knowledge yet, keep it quiet'. That displays a profound lack of respect of confidentiality of the inquiry and the feelings of the family at that time. Leaking information of the confidential inquiry creates a substantial risk the press would be advised of that information and could be published and the family could find out through an inappropriate avenue. It is fortunate this did not happen but it is more by chance than by design. It causes profound damage to the people who come to the police service and undermines the relationship between these people and the police service. The panel also heard that officer from the professional standards department interrogated the phone of PC Goodwin after a complaint. As a result of that inquiry, a number of text messages were found which contained something which seemed to be at odds with the officer's role and core values at Nottinghamshire Police. One message on the phone contained a racist term for the Pakistani community, another included derogatory terms for Turkish people. She was also found to have told a friend about details of a police stop officers had carried out on someone they mutually knew, as well as sending a "variety" of messages about vulnerable females who had reported crimes of "a very personal nature" in her role as a support officer. PC Goodwin did not attend the hearing at the force headquarters, but was represented by Malcolm Spencer, of the Nottinghamshire Police Federation. There was no dishonest intent. Has this officer been disingenuous or lied about her conduct? I would say not. She has been totally honest throughout in accepting the comments that she has made, accepting that in the cold light of day how abhorrent they are. She genuinely believed these were private conversations. She could not be trusted either the most personal and sensitive information. In breaching that trust, it is a fundamental betrayal of the office of constable.